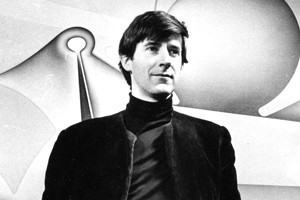 Rory McEwen was a polymath; a musician, writer, television presenter, poet, sculptor, and painter. Born in 1932, by his mid twenties he had become one of the leading lights of the post-war folksong revival, and presented and performed on the ground breaking folk and blues music programme Hullabaloo. From 1964 until his death in 1982, he focused solely on his career as a visual artist, and became perhaps the greatest botanical painter of the 20th century. McEwen began to paint seriously in the 1960’s; primarily known for his watercolours on velum, he also worked in many other mediums including perspex, glass and metal. He created works of exquisite beauty, using the bare velum as a background upon which to float his flowers, leaves and vegetables. Without shadows, and executed in his distinctive style, his subjects seem to take on a life of their own in their minutely accurate detail. 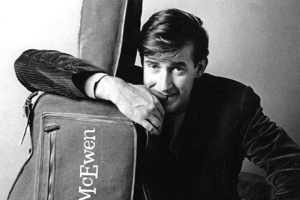 Between 1956 and 1965, McEwen was best known as a guitarist and singer, and performed at venues across the country, including the Edinburgh Festival, the Keele Folk Festival and the Festival Hall, where the demand for tickets was so high that extra rows of chairs had to be put on the stage. McEwen was a pivotal figure in the folk revival movement, and his house in Chelsea became a central hub of creativity, where George Harrison was given sitar lessons by Ravi Shankar, and Bob Dylan was introduced to Robert Graves. 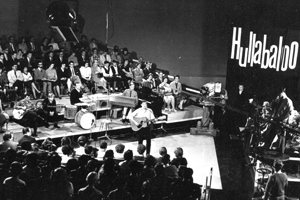 McEwen appeared weekly on the BBC Tonight show, and in 1963 he produced, presented and performed on the seminal music programme Hullabaloo. Shown on ABC television, it showcased a diverse mix of musicians including Martin Carthy, Cyril Davis, Ramblin’ Jack Elliot, Long John Baldry, Carolyn Hester and Sonny Boy Williamson to name but a few. Eric Burdon (of The Animals) Billy Connolly and Van Morrison are just some of the many who were influenced by Rory in their formative years. Copyright The Estate of Rory McEwen. All rights reserved. | Designed by Blade Design Ltd.